Are you getting married this season? Take this awesome quiz. Just answer 5 simple questions to know what kind of summer bride you are! If most of your answers are A’s: You are an extremely feminine and a traditional bride. You don’t want to mess-up too much with the color theme or the traditions. 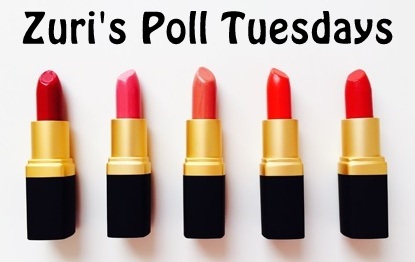 Zuri recommends that you go for a cherry red shade of lipstick (and not red or maroon). It will look stunning on you! If most of your answers are B’s: You are a wild one. By ‘wild’, we actually mean, you are quite an unconventional bride. But, that’s romantic too! Zuri recommends you wear your flowers in the loosely waved hair and flaunt your quirky wedding gown in style. If most if your answers are C’s: You are our stylish bride, a style diva. You love to wear the latest trends in fashion and beauty. Quite a stunner you are! Just make sure to not go over the top with your makeup. Not opting for loud colors will add glory to the otherwise glitterati affair and the town is so going to remember you for that. If most of your answers are D’s: You are such an elegant bride! With your taste for all things classy and elegant, your wedding is going to be the most happening event for the city to remember. Yes! Definitely go for a heavy mascara and an Arabic style eyeliner (that is, if it suits you well).